Power Chords: the best interconnects you can buy | What Hi-Fi? Winning a What Hi-Fi? Award is a prestigious thing; it means that in all 365 days of that year, your product has fended off competition on all sides. From the biggest hi-fi system to the littlest wireless speaker, getting the most bang for your buck is important. 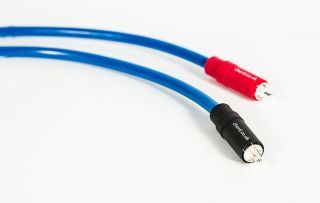 Connecting up your system with a solid length of cable can be the difference between good sound and bad; and no matter how big your budget is, you can rest assured that these are the best cables available. On the affordable end of the scale is the Chord Company Clearway speaker cable, which has retained its spot for three years running. At £10 per metre, it allows for a more rhythmic, more dynamic and more musical performance than its boisterous competitors. With a great handling of detail, space and a balanced frequency range, there’s no better budget cable. If you want to spend a little more, then there’s Chord’s Company C-line at £45 per metre. High-grade copper conductors and high density foil shielding is part and parcel of providing an insightful sound that doesn’t flinch, placing emphasis on the character of your music. Rhythmic drive is strong and dynamics are expressive, letting your system cut right to the soul of whatever you’re playing. Finally, for those that need to eke out every scrap of detail from their hi-fi (although really, who doesn’t?) there is the Chord Clearway Analogue RCA at £90 per metre. The Clearway takes inspiration from Chord’s other award-winning cables, and features the same Tuned ARAY conductor geometry technology. But each of the Clearway Analogue RCA’s materials have been upgraded to provide an even better experience than its counterparts. The shielding has a dual-layer counter-wound heavy gauge foil design, the cable is fitted with Chord’s silver-plated VEE 3 RCA plugs, and the conductors are oxygen-free copper of a much weightier gauge than other cables. The proof is in the pudding, or in this case, the cable’s musical performance. It’s rich in detail, proclaiming elements that other cables would only whisper of. The system is knit together wonderfully, giving you the best in terms of dynamics and organisation, and putting its rivals to shame. For those that want the best money can buy, the Chord Clearway Analogue RCA is the answer. For those that want the best, no matter the money – well, then Chord’s cables are your answer too.